3. Hugo- Scorsese’s 3D chronicle of ancient cinema is as much about technological revival as it is about an orphan boy’s journey for meaning and friendship. It’s on the shoulders of two child actors to navigate their way through his beautifully orchestrated picture, but ultimately it’s Ben Kingsley’s deeply conflicted character whose history and performance steals the show. 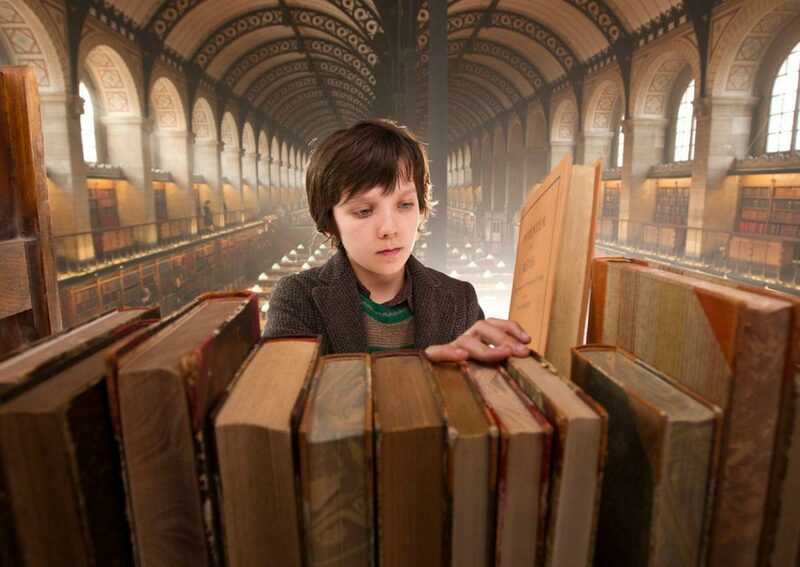 One of the first films that geared the extra dimension as a tool for storytelling and artistic expression, Hugo sidesteps gimmicks and captures important lessons of childhood, imagination and purpose. Read our review. 4. 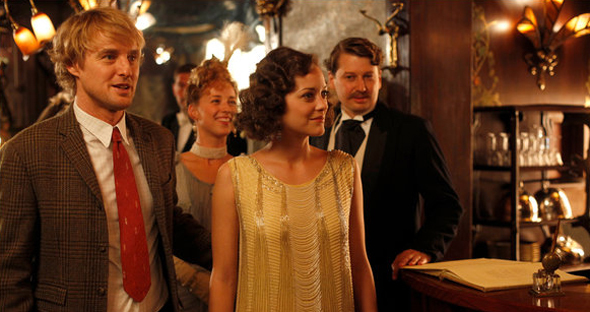 Midnight in Paris- Woody Allen tends to make films so often that they hardly can be told apart. But every so often, Allen comes out with a film that reminds us of the potential of his innovative, personal storytelling style. Besides the perfect cast, Midnight in Paris delivers unseen laughs while hitting familiar heavy messages of nostalgia, escapism and romance. Such a ridiculous time-traveling comedic plot with characters like Hemingway and Picasso would have been a disaster in other hands, but Allen turns it into an artistic masterpiece. Read our review. 5. Melancholia– A dark twin to The Tree of Life, Lars von Trier’s vision of “The End” collides the personal depression of Justine (a never-better Kirsten Dunst) with the impending doom of the encroaching planet Melancholia. The beautiful 8-minute prologue set to Wagner gives away the world ending, so the entire film creates a sense of dread around Justine’s disastrous wedding and the rest of the proceedings. 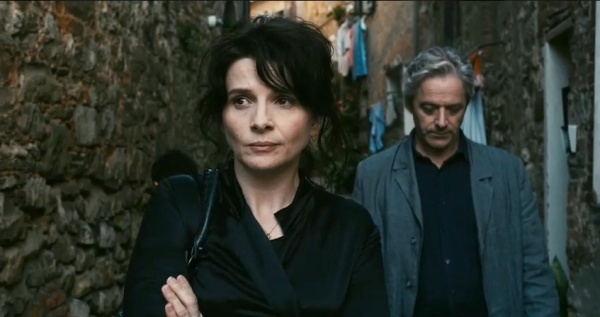 Von Trier has made it a habit of destroying the lives of women, but here he handles the characters much more delicately than the doomed marriage of Antichrist or the ill-fated Bjork of Dancer in the Dark. His cynicism is still alive and well, though you can sense more of his despair than glee as he destroys Earth and everyone on it. Read our review. 6. A Dangerous Method– The end of the world was the perfect fit for von Trier, and the birth of psychoanalysis is perfect for David Cronenberg. Studying the beginning of the mind/body connection shows not just a father/son duel between Sigmund Freud (Viggo Mortensen) and Carl Jung (Michael Fassbender), but also this director examining the figures whose basic ideals form the turbulent undercurrent of many of his films. Keira Knightley provides much of the turbulence in this film as Sabina Spielren, the hysterical, intelligent woman that comes between them (more intellectually than sexually). Cronenberg’s presence erases any indication that this may be a straight-laced period drama. It’s a volcanic, deeply haunting film. Read our review. 7. Beginners- Writer-director Mike Mills’ semi-autobiographical story is an unlikely coming-of-age film, following two “beginners” who waited later in life to get things like commitment, identity, failure and love all figured out. 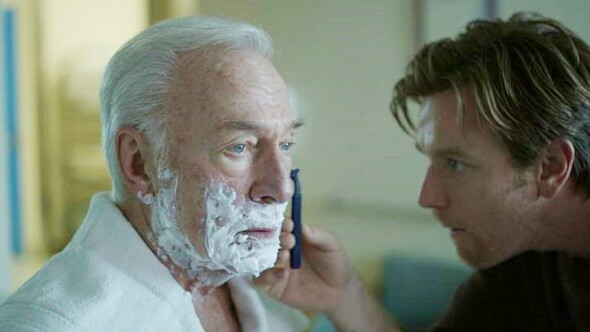 The father (Plummer) and son (McGregor) relationship in the film has its sensibility, but the film really finds depth and beauty when Hal’s son Oliver reflects on his relationships with his parents as a way of etching out his own life. With Mills’ clever artistic touches and approach to narrative along with the casts’ graceful performances, Beginners is as purely original as it is endearing. Read our review. 8. 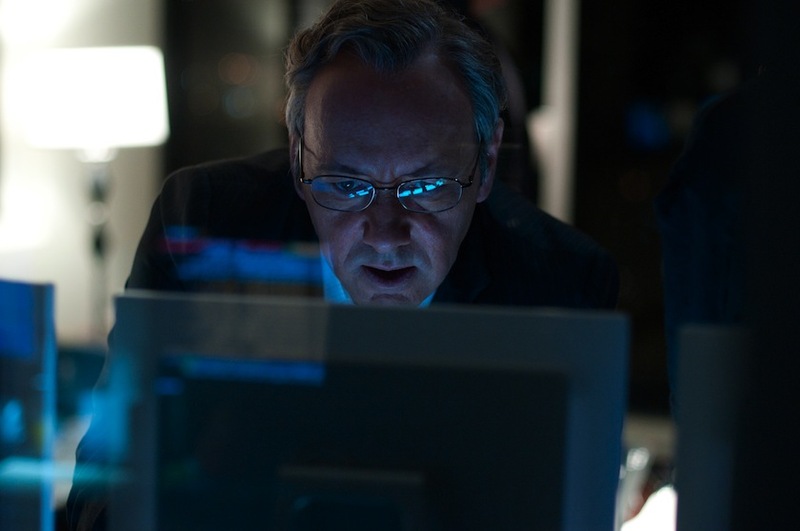 Margin Call– J.C. Chandor proves himself a terrific writer/director in this stunningly well-made debut. With a terrific ensemble that includes Kevin Spacey, Jeremy Irons, Zachary Quinto, Stanley Tucci and Demi Moore, he chronicles the 24-hour period at a single investment bank in 2008 before the financial collapse. Though it’s a little less dramatic than Melancholia’s apocalypse, this is very much a film about people embracing the end of their world. By showing the dark side and examining it instead of outright criticizing it, Chandor creates a portrait of an entity that tried to eat the world and ended up eating itself. Read our review. 9. 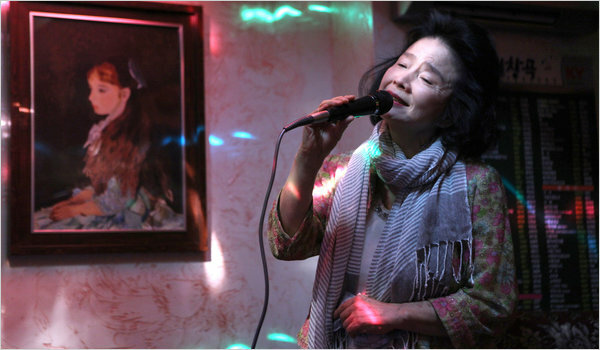 Poetry– Lee Chang-dong’s Poetry is a beautifully sad film about an old woman grappling with numerous struggles- the early stages of Alzheimer’s, her grandson’s horrendous crimes, coming up with a poem for her class. Chang-dong interweaves these events into a terrific narrative, showing Mija’s (Yun Jeong-hie) various conflicts folding over each other, and then finding some sort of higher purpose. Read our review. 10. The Girl With the Dragon Tattoo- When it came to adapting the Swedish book and film of the same title into a big-budget Hollywood event, there couldn’t have been a more tactful pairing than with David Fincher, who was fresh off his success with last year’s The Social Network. Casting Daniel Craig was not as much of a long shot as was Rooney Mara, but the duo couldn’t have been any more perfect, infiltrating and pinpointing an explosive dynamic between the two characters. Add in expert production, a haunting synth-filled score and a tremendous supporting cast, the story reached its maximum cinematic potential without being unfaithful to the source. Read our review. 5 runner-ups: Clint Eastwood’s J. Edgar is a haunting portrait of the repressed FBI director using his insecurities to create a vast intelligence empire. The Descendants shows Alexander Payne finding a suitable muse in George Clooney as he chronicles a man and his daughters dealing with his wife/their mother’s betrayals while she lies in a coma. The wickedly funny Bridesmaids shows the bond among women with plenty of fart jokes, vomiting and puppies along the way. Jason Reitman and Diablo Cody teamed up again to much darker effect with Charlize Theron in Young Adult, a movie where an alcoholic former Prom Queen returns to her home town to wrestle her former love away from his happy life with a wife and newborn child. Rise of the Planet of the Apes was a terrific summer surprise, showcasing fantastically rendered motion-captured apes and an astonishingly well-done action sequence on the Golden Gate Bridge. Also, be sure to check out our favorite performances of 2011. Like us on Facebook and check out our contest to win $20 in FREE movie passes. This entry was posted in Features and tagged A Dangerous Method, academy award nominations, Beginners, Best films of 2011, Best movies of 2011, Best performances of 2011, Best Picture, Bridesmaids, Certified Copy, Cinema, favorite movies of the year, foreign movies, great movies, Hugo, Indie movies, J. Edgar, Margin Call, Melancholia, Midnight in Paris, nominees, Oscars, Poetry, pop culture, Rise of the Planet of the Apes, The Descendants, The Girl With the Dragon Tattoo, the three of life, Young Adult by matterspamer. Bookmark the permalink. Nice list guys! I see we totally agree on The Tree of Life (my #1 as well), Midnight in Paris (my #4) and Beginners (my #8). Awesome! On a discording note, I thought Hugo was wildly overrated. While it’s a fairly good movie, I’m not quite sure why it’s getting so much praise given how poorly paced it is in the first half and how it’s really not a family film at all. We do have a few of the same picks. I think the pacing issues can be overlooked because of how well the stories merge and succeed towards the end of the film. I think a lot of the praise comes from the fact that is one of the first and best uses of 3D technology for purposes of enhancing storytelling rather than just image.